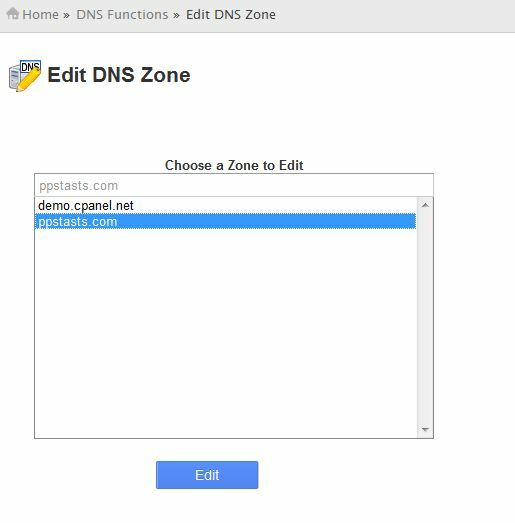 If any data change is required for a DNS zone created for every site in server, it can be done from Edit DNS Zone. 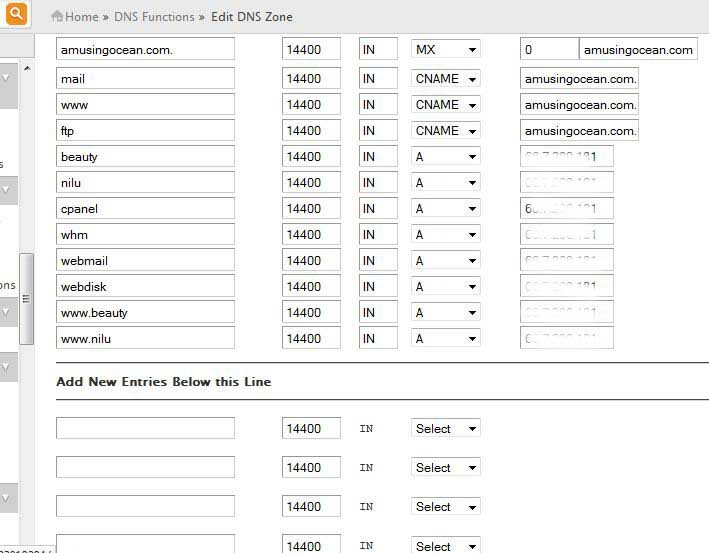 Go to Edit DNS Zone, select the particular domain and click on Edit button. All changeable options are preset as per SOA which has described in previous tutorial. 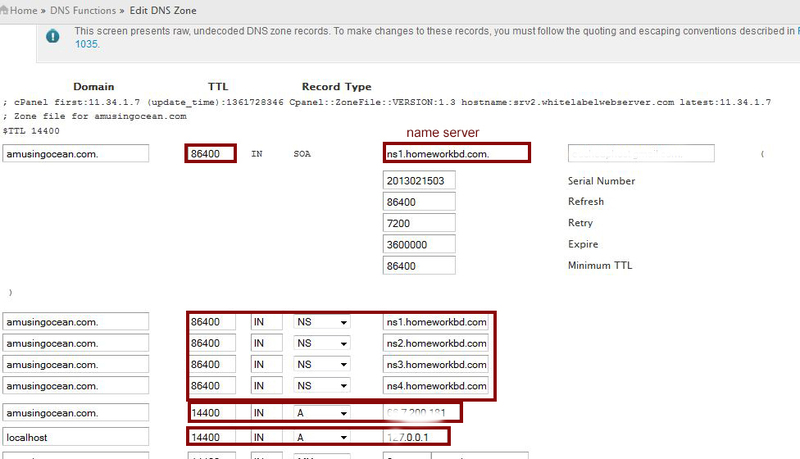 To change the name server, put it on NS. 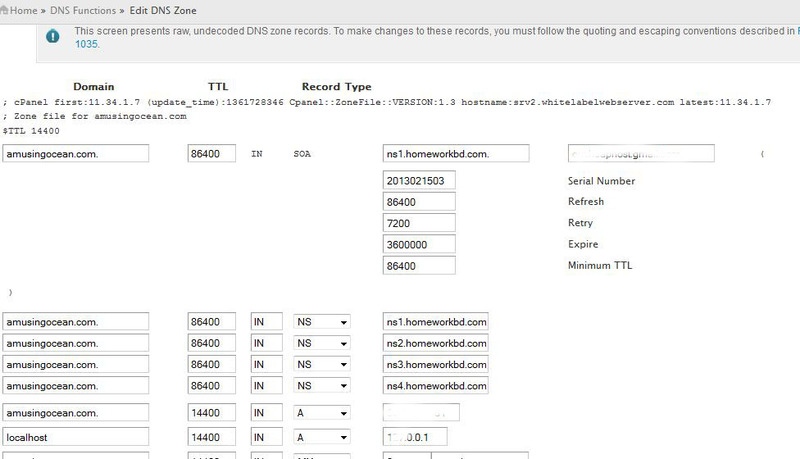 And to add any information in the zone, go to Add New Entries Below This Line, type the data and select SOA by clicking on down arrow beside IN. Finally click on Save button to save the new information.